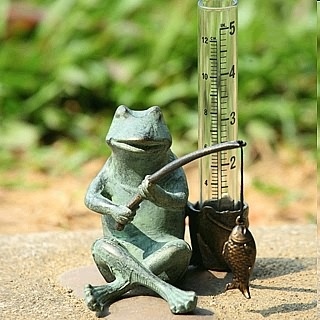 Our little garden frog figurine appears to be sitting by a quiet corner, fishing and measuring the rainfall with this handy rain gauge set by him. Created from aluminum and glass. Dimensions: 6"H x 4" x 3.5"